Treatment programs for addiction and/or alcohol are as varied as the types of drug addiction, and while our purpose is not to endorse one kind of treatment over another, we’ll try to give you a primer on the topic. Drug Treatment may consist of: behavioral therapy, medication, or a combination. Behavioral therapy would include counseling, cognitive therapy and psychotherapy. Also, there is the 12-Step recovery developed by Alcoholics Anonymous, which is now used by over 250 self-help groups. There are several things to keep in mind when selecting a treatment program, or center. Foremost is the fact that everybody has an individual need and treatment programs must be tailored to meet that need. One size fits all does not apply. Recovery needs to take place in the right setting, with the right services and treatments to best effect a positive outcome. Even if a person does not voluntarily check-in to a treatment program, it does not mean the treatment will be ineffective. Many people present themselves for treatment by court order, not of their own free will, and can receive the same benefit as those who are there voluntarily. When a person is ready for treatment it is important for that treatment to be ready for him/her. Services must be available, because if a person has to endure being put on a waiting list, or has to drive long distances to receive treatment, the odds are against them from the get go. It’s easy for people to fall between the cracks if help is not readily available. In many cases, people entering treatment need to go through medical detoxification. While it is an important first step in the treatment program, detox is not the whole answer to the problem. People need to get the drugs out of their system, but that does not address the long-term problems of addiction. Treatment programs need to meet the needs of people, beyond the physical and emotional addiction problem itself. We are body, mind and spirit. Intervention that does not include all of a person’s needs falls short of the minimum goal of the program. Addiction is as much about the spirit as it is about the mind and body. Many addicts going into recovery has legal problems to sort out, job problems, social integration problems. Every aspect of the person’s life needs to be addressed. Needs change and treatment programs need to change as those needs change. Progress or the lack of progress needs to be assessed on an ongoing basis. What was necessary in the first phases of treatment may need to be changed as time goes on. Perhaps a patient is on medication initially, but will later require counseling or psychotherapy. There may be family matters to work through, or vocational training. Why 12-STEP? 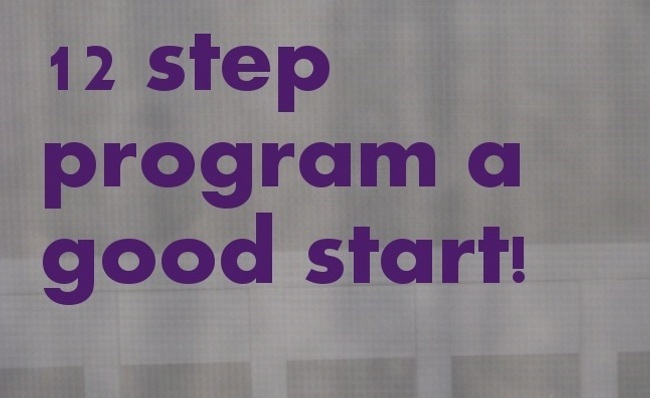 We recommend that whatever treatment program you choose that you also enroll in a 12-step program. A 12-step program will help address your spiritual needs rather than just your medical needs.We have listed each step below and hope that you will take some time to review each step and consider what it would do for your/your loved ones recovery. Treatment programs must be age-appropriate, and sensitive to the culture and ethnicity of the patient. Again, the individual’s need is the key to determining the most effective path of treatment. Sticking with Addict Intervention Treatment Programs is KEY! Patients need to complete their treatment programs. Treatment can be a long and difficult road, so patients need to be encouraged to stick with it. Research suggests that people reach a major milestone in recovery after 90 days, but additional treatment can be helpful in taking the patient farther down the road to good health. The problem is people leave their treatment programs early, often without reaching a significant stage in recovery. Patients cannot expect to recover if they have to do it alone. Connection to other people is necessary, and in the case of recovery, having sessions with a counselor or being part of a group is an important component of the program. Many patients, who are addicted to opiates, such as heroin, benefit from Addict Intervention, using Methadone and LAAM (levo-alpha-acetylmethadol. Naltrexone is used for patients addicted to opiates, but who are also dependent on alcohol. Smoking addiction is treated with bupropion. Other medical problems, such as hepatitis B and C are associated with drug abuse and addiction. HIV/AIDS is another major concern and programs need to assess these conditions and provide training for patients to avoid infection. Patients with mental problems can be helped with a variety of behavioral drugs and treatments. Patients with both addiction and mental disorders need a process that works with both aspects. Assessment of these needs is critical in establishing a treatment program that will effectively restore the patient’s health and well-being. Drug Use MUST Be Monitored! While in treatment, patients must not be using drugs. Drug use needs to be monitored, and this can be accomplished in a variety of ways. Most commonly, a urinalysis or some other drug test is sufficient. If a relapse occurs, and the patient uses drugs during the treatment program, his/her individual treatment plan may require modification. It is important for the treatment program to have a steady, objective monitoring program to meet the needs of the patient. Just as one size does not fit all patients, sometimes one Addict Intervention Treatment program does not completely rid the patient of the addiction problem. 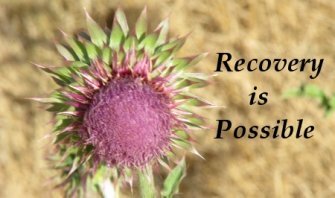 Therefore, many patients need subsequent Addict Intervention Treatment programs to win over the addiction. Sometimes long-term programs are the answer, or many times through the program. Irish boy stuck in addiction! My name is Mick I am in Ireland am 38 years old and have been in addiction to heroin for 11 years now. I am still trying to get away from this power that hunts my every day in the night. I have seen some very close mates die around me from it. But still it’s there calling on me. I got clean a few times the longest been 9 months. But yet again I slip back. I hope with the help of God soon I will get this out of my life. I guess my life growing up was not all that good. Ireland is not all green grass lovely hills and valleys. Jail at a young age 17 and a dad soon after. Drink then drugs all the way from weed, speed, coke, then smack/ aka heroin. This is my first time trying to put down in words how I feel and I hope for me and the many more like me that some day or night our lives can get back on the right side and the sun will bring a smile and life on our faces again. We can do it, God bless all,don’t give up your worth it.